SHOULD THE NZ ELECTION RESULT AFFECT YOUR PROPERTY DECISIONS? After a rollercoaster election, Winston Peters has chosen red and we have a Labour/NZ First government for the next three years. 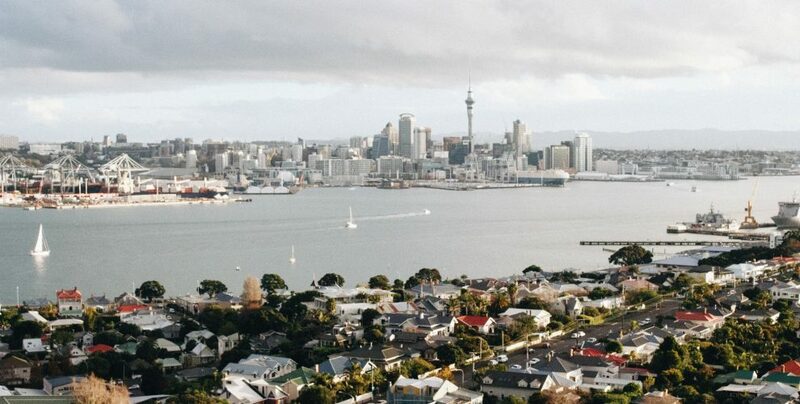 Whichever side of the political fence you sit on, you should be aware of how the new government’s policies could affect your New Zealand property in the future. The coalition terms are yet to be made public, however, by looking at Labour and NZ First’s existing policies we can get a clear idea of what’s likely to change. After a rollercoaster election Winston has chosen red and we have a Labour/NZ First government. The Auckland Unitary Plan proposed that the city needed to build at least 13,000 new homes per year to keep up with demand. However, at the peak of the building boom in July 2017, the Auckland Council were still only consenting roughly 10,000 dwellings a year. This is just one example of housing shortages that are occurring all over the country, from Queenstown to Whangarei. Labour has pledged to build 100,000 new homes over the next decade to remedy this, with half of these to be built in Auckland as part of a KiwiBuild program. Stand-alone homes will be priced at $500,000-$600,000, while apartments will sit under $500,000. Outside of Auckland these homes will range from $300,000 to $500,000. KiwiBuild properties will only be available to first-home buyers, who will be required to hand back all capital gains if they sell within five years. National’s goals for the future weren’t as plainly stated, so it’s unclear whether this will mean a significant increase in the rate of building. Either way, 100,000 new homes over 10 years is sure to help meet demand going forward. One of the most significant changes is the extension of the Bright Line Rule. New Zealand property investors have been a hot button topic for years. While Labour’s tax working group has been postponed, their policies clearly aim to crack down on speculators. One of the most significant possible changes is the extension of the Bright Line Rule. Under new policy, property investors will be taxed on the capital gains made when they sell a property within five years of purchasing (increased from two). There are cases both for and against a stricter capital gains tax. Its opponents say the change will simply create a lock-in affect, where investors simply hold their properties for at least five years before selling. On the other hand, its supporters propose that this will reduce sales turnover, which could help alleviate upward pressure on prices. It will also raise money to put back into housing where it is most needed. In another divisive move, both NZ First and Labour have proposed to ban foreign speculators from buying existing homes. This will, in theory, reduce demand for housing, lessening upward pressure on prices. Foreign speculators will, however, still be able to purchase new build properties. Property investors can currently claim the losses they make from owning an investment property against their other income, reducing their tax bill. Critics of that structure claim this incentivises investors to make a short-term loss to offset their other tax, before selling and making a capital gain (otherwise known as negative gearing). Labour proposes to ring fence property losses so that investors can no longer offset their other taxable income. Labour proposes to ringfence property losses so that investors can no longer offset their other taxable income. The opposition to this change is vehement, claiming it has the potential to vastly increase the cost of property investment. This could result in rising rents and a decreased supply of rental properties. On the other hand, labour claims that this loophole is generally only used by individuals with several properties. Their stance is that removing it will lessen incentives for investors to buy multiple properties, levelling the playing field for first home buyers and lower income families. They also claim that most investors with one property will not be adversely affected. To ensure a smooth transition these changes will be phased in over five years, with loss deductibility reducing by 20 percent a year. Labour proposes this will save taxpayers $1.2billion over the next decade, which will be used finance government heating and insulation initiatives. – Abolishing “no-cause” terminations of tenancies. – Reducing frequency of allowed rent increases from every six months to once a year. – Increasing 43 day notice period to 90 days. – Requiring the formula for rental increases to be included in the lease agreement. – Allowing tenants to make minor changes if they pay double the bond. – Giving landlords access to a $2,000 grant for upgrading insulation and heating. Again, there are two distinct sides to the argument. Proponents of the changes say they will make renting a home fairer and more secure. On the other hand, it is possible that these changes will cause investors to increase rents to cover rising costs, worsening the problem of affordability. We’re still waiting to see what form law changes will take and if this new government will incite positive change. Regardless of what happens, the best thing you can do is to stay informed so that you can make the right property decisions when things start to change.